2015 is fast approaching – it is a mere 11 hours away actually! Yikes! Where did the year go? 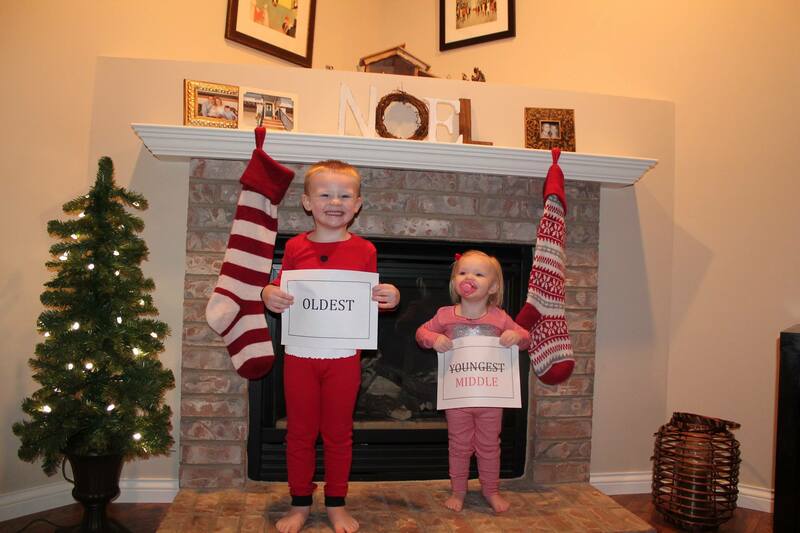 Without question, 2014 was good to us, and I am confident 2015 will be even sweeter as we will be welcoming baby #3 in June!! Happiness. Pure happiness. While I am beyond elated about our growing family, I would be lying if I said I am not anxious about maintaining some semblance of routine and order when baby arrives in a few short months. For that reason, I have adopted a few new habits that are really helping me on the home keeping front. I run the dishwasher every night regardless of how full it is. If I only have half a load, I just choose the half load cycle. While the kids are eating breakfast in the morning, I unload it and then load the breakfast dishes. Ending the day with an empty sink, and starting the day with an empty dishwasher is a really good thing. I start a load of laundry before bed. While my coffee is brewing the next morning, I toss that load into the dryer. I try to do a load during nap time too, but I don’t panic if that doesn’t happen because just doing one load of laundry a day REALLY helps me stay on top of the ever growing piles of dirty clothes. The kids bedroom serve a singular purpose – sleep. We removed all toys from the bedroom level of our home. The kids have a shared bookshelf in the hallway, but their rooms are toy free. This really helps me keep that floor of our home tidy and manageable. Those three things have really made home keeping more enjoyable and manageable and, frankly, are good for my Type A soul. What are your favorite housekeeping habits? I’d love to hear from you! This entry was posted in Cleaning, Home. Bookmark the permalink. ← Shame on me? No. Shame on her. CONGRATULATIONS!!!! I am beyond happy for you! 🙂 My biggest tip is cleaning the bathroom every time you use it. Just wiping down the counter and mirrors, etc. makes a big difference. Thank you! 🙂 good idea about the bathrooms! I used to keep a container of Clorox wipes in the bathroom and wipe down the counters daily, but I’ve totally neglected doing that for probably a year now :/. Definitely something I need to start doing again! I could probably get my oldest to do that in the hall bathroom even. So, Is the transition from two kids to three as difficult as everyone makes it sound?